The holidays are over. Long gone and a thing of the past now. It is hard to believe how fast the new year is already moving along. Especially when some of us are still thinking it is 2012. So much so that we have to practice writing out 2-0-1-3 with such diligence to get it right. Those of us who do not want to move on are quickly realizing that time does not stand still. It will leave us behind if we do not catch up. Despite all of this, January is in full swing and although our vacations are over and our lives are getting back into routine, the cold and damp weather is not letting up. We have no break from it in sight. The chilly winter air, with its low temperatures, is breezing through all around us, cutting our faces and hands like flying daggers. These days we find ourselves braving the outside world with gloves, scarves and heavy sweaters, jackets and coats. We bundle up to make our trips to work, school, the market, or to run our daily errands. Our breath, frosty and icy as we walk in haste to the warmth of the indoors, like moths to a flame. It seems the only salvation we have from the cold outside world, is the comfort of our homes. More specifically the familiarity of our kitchens. On days when all the clouds have come out to play and the sun is off hibernating in some warm remote tropical island, the cold weather hangs around even more persistently. It holds us in a death grip and does not let go. Do you know those days? It is these moments when turning on the oven and getting in the kitchen is most useful, in more ways than one. We check our baggage and problems at the door, put on our aprons, turn on the music, and forget about everything. We are one in the moment. Cooking and baking to our heart’s content. It is not necessarily about what we are making that is important—although our stomachs will appreciate the end result—rather it is more so about the process of making something. Anything. 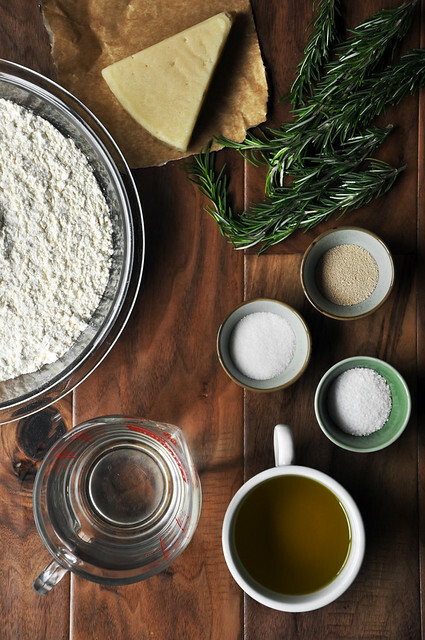 The meticulous measurements of baking and the not-so-precise movements of cooking. They relax us and force us to live in the moment. To live in the now. When the days are super cold and ridiculously long and I’m forced to layer up in sweater after sweater, even in my own home, I like to get in the kitchen and make something that takes a while to prepare. A recipe that requires the oven to be on for a long period of time. Any excuse to get more heat throughout the house. Sure, I can easily turn on the heater and call it a day, but when I do that there isn’t a delicious treat waiting for me at the end. At least when I turn on the oven to make something, I will get to enjoy a tasty dish along with the benefit of warming myself up. There is also something magical about taking all the time to make something special like homemade bread. The countless resting and rising time, crossing your fingers and holding your breath that you woke up the yeast properly and hoping against hope that the dough doubled in size in less amount of time indicated. The feeling heightens when you realize you have done everything right and the raw dough itself looks and smells just as tasty as if it were baked. Then you are forced to bake it and wait even longer. As it cooks you suddenly forget about all the anguish and grief the constant kneading and resting and rising has caused you because your nose picks up on the wafting smell of fresh baking bread. 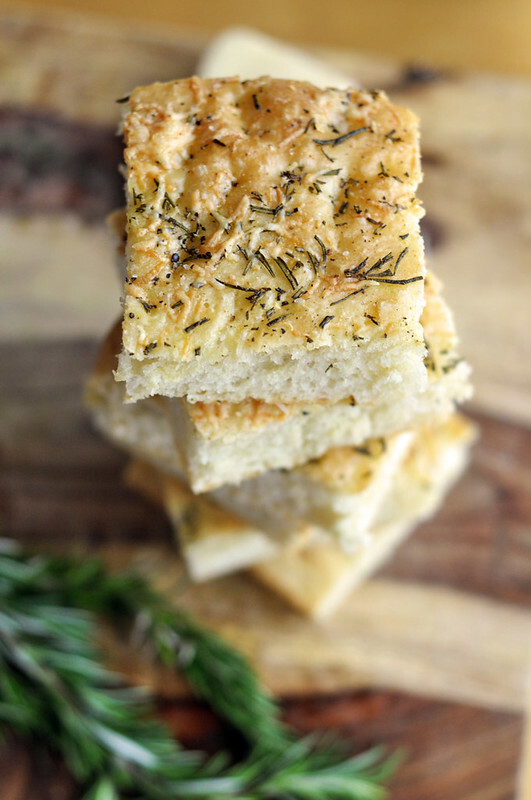 Throw rosemary and parmesan into the mix and suddenly the pleasurable aromatic smells coming from the oven are even more irresistible. Even more tempting. What cold air? You forget all about the chilly winter and even stop worrying about getting warm because all your attention seems to be focused on the timer, and you are calculating how long it will take for the bread to cool so you can slice it up and enjoy the fruits of your labor. That ladies and gentleman, is the benefit of winter time baking and cooking.